The Michael Aymar Foundation awards its 2018 NASHDO Scholarship to Our Lady of the Lake School students. 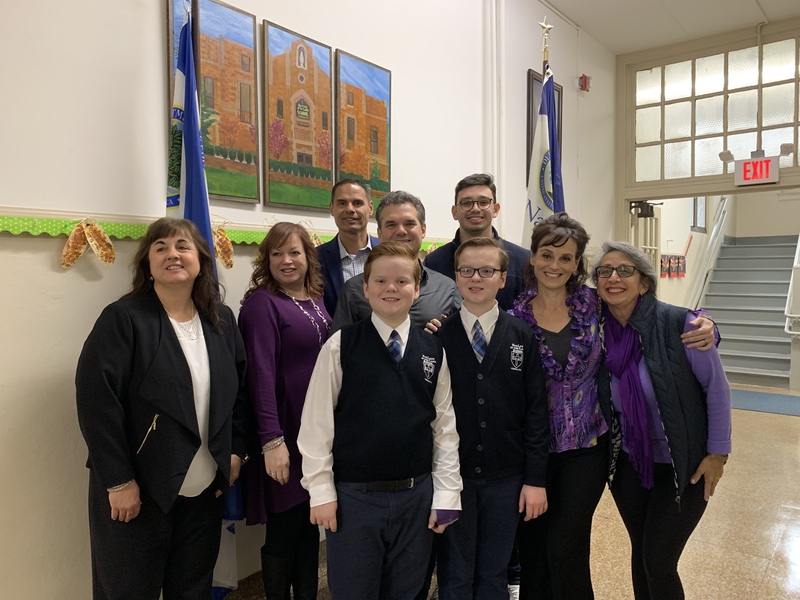 The Michael Aymar Foundation celebrates the season of giving by providing a $5,000 dollar scholarship to two students attending Our Lady of the Lake School in Verona. With the help of the school’s principal, Ben Ronquillo, the Aymar foundation hopes to assist a well deserving family in their community. The Foundation also offers FREE “ Life Skills Workshops” in partnership with local libraries in New Jersey. Our track record is something to be proud of: In less than 3 years we have awarded five $5,000 scholarships to qualifying students and completed over 34 workshops benefiting hundreds of students! Our Lady of the Lake School is a 2017 National Blue Ribbon School. “This school gave me a solid base for my education and a meaningful career. The special memories I have of my father teaching me grammar and life-lessons, along with other students are priceless and would not have been possible without Our Lady of the Lake. I am proud to come back full circle and make a difference in the life of other students in the community I came from,” said Peter Aymar. Principal Ben Ronquillo spoke fondly of the Michael Aymar Foundation’s mission while expressing pride regarding the acknowledgment of his students’ success. The Michael Aymar Foundation has an Annual Fundraising event at the Van Vleck Mansion. This is their signature event where the scholarship funds are raised. This year it will be held on April 7th, and they invite everyone who wants to learn more about their work to attend and be inspired by past students, supporters, and members who are relentless in their passion for education, following the example of Mr. Aymar. To stay connected and get details of their upcoming events, visit http://www.michaelaymarfoundation.org/contact.htm.